The time you and I follow is based on atomic clock system. The world time is kept through 400 such atomic clocks all over the world linked to each other through satellite. This system has been place for a considerable time now ever since it replaced astronomical-based clocks. However, this system is also criticized for being imprecise. So recently, German researchers have come up with an idea of using optical clocks for more precise timekeeping. A team of German researchers namely, Christian Grebing, Ali Al-Masoudi, Sören Dörscher, Sebastian Häfner, Vladislav Gerginov, Stefan Weyers, Burghard Lipphardt, Fritz Riehle, Uwe Sterr, and Christian Lisdat have now developed a optical clock which is said to be most precise watch in the world. The researchers have their paper published in the journal Optica. 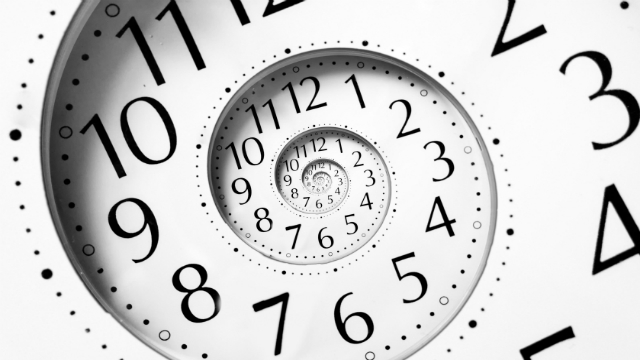 According to the researchers, keeps time so well that if it had started 14 billion years ago at the Big Bang it would have lost just 100 seconds. The new clock system when completely build may take over the atomic clocks system that we have been following for past half century as our standard timekeepers. "These are fairly complex systems with dozens of lasers that need to be frequency locked at the same time, and they simply break sometimes", said Christian Grebing, author of the new study and a scientist at Physikalisch-Technische Bundesanstalt in Braunschweig, Germany. The clocks we use today work by measuring atomic oscillations. But as said above, these can go wrong with about one nanosecond over a month which can lead to many fatal consequences. You might be thinking, how much this small fluctuation of seconds could be a trouble. Modern day gadgets right from telecom equipment, Power grids and GPS systems and the Internet to flight plans are set up on the atomic time. So a error can lead to grave consequences. The way time is measured is still based on the idea of a pendulum, except atomic clocks measure the natural, regular back-and-forth movement of an atom of caesium. The new optical watch created by German researchers has a similar pendulum construct but it uses strontium atoms, which “tick” much faster than caesium. And they do so in the optical, rather than the microwave, part of the spectrum given that much more accurate timing. Optical clocks use atoms or ions that oscillate about 100,000 times higher than microwave frequencies used in atomic clocks. In other words, they are much faster and stable. The German researchers are presently testing the results in lab conditions so the atomic clocks used currently may not be hurriedly replaced. However, once the testing is done, we may have a new more accurate watch thanks to the German team.